The publicity and promotions company and 10 of their artists have received Outstanding Achievement Awards from the Indie Music Hall of Fame. PITTSBURGH, PA, UNITED STATES, October 1, 2018 /EINPresswire.com/ — MTS Management Group and their roster of music artists have received numerous awards and nominations over the years. From the Independent Music Awards to The Josie Awards, IMEA Awards, Nashville Universe Awards and New Music Awards, among others, MTS artists have been acknowledged as being among the best indie artists on the planet. 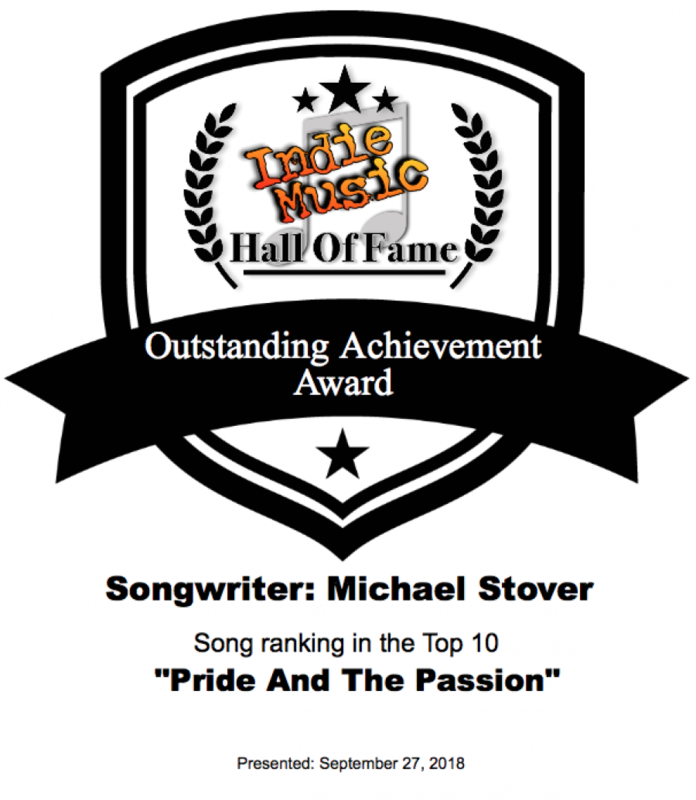 Now, MTS President Michael Stover, along with 10 MTS clients, has received an Outstanding Achievement Award from the Indie Music Hall of Fame. ABOUT INDIE MUSIC HALL OF FAME: The Indie Music Hall Of Fame was created Emmy Award winning TV Host/Actor/Producer Christopher Ewing, the president and founder of the Indie Music Channel and Metro Media Group. Outstanding Achievement Awards are given based on Song/Album Digital Download Sales, EP/CD Sales, Racking/Charting, Music video views, and Live Performance Attendance​. For more information, please visit http://www.indiemusichalloffame.com/. ABOUT MTS MANAGEMENT GROUP: Founded in 2010 by Award-winning songwriter, musician and producer, Michael Stover. A music industry veteran of over 30 years, Michael is a graduate of the Art Institute of Pittsburgh, with a degree specializing in the Music and Video business. Michael has used that education to gain a wealth of experience within the industry: from retail music manager and DJ, to two-time Billboard Magazine Contest winning songwriter, performer and chart-topping producer, and finally, award-winning artist manager, publicist, promoter and label president. In just 8 years, MTS Records has released 33 Top 40 New Music Weekly country chart singles, including TWELVE #1s and 8 Top 85 Music Row chart singles. MTS has also promoted 8 Top 25 itunes chart singles, including 3 Top 5s and a #1! Michael has written columns featured in Hypebot, Music Think Tank, and Fair Play Country Music, among others. For more information, please visit http://www.mtsmanagementgroup.com.